A co-founder of the Gay Men’s Health Crisis in New York in 1982, Kramer was edged out of the advocacy organization a year later for — in his word — “merchandizing” the AIDS epidemic in mainstream magazines and newspapers across North America. But he never wavered in his commitment to spread awareness of the disease and the lack of attention given to it. The Normal Heart is his attempt to explain and justify his actions. Kramer told me in a 1986 interview that the foot-dragging by officialdom during the early stages of the epidemic was mainly due to homophobia, and that the situation didn’t change after he wrote the play. Kramer’s roster of culprits in the play included The New York Times and New York Mayor Ed Koch. Both responded to his charges after The Normal Heart opened at New York’s Public Theatre, marking the first time in recent memory that the press and political establishments were put on the defensive by an American stage play. The Times denied suppressing news about AIDS, saying it published “scores of articles” on the disease after the Center for Disease Control in Atlanta reported in June 1981 that a “rare cancer” was killing gay men. But Kramer countered that the Times ran only seven articles during the first 19 months of the epidemic, when 958 cases were reported. At the same time, the newspaper published 54 articles on a Tylenol scare that resulted in seven deaths. The Normal Heart ran for 294 performances at the Public Theatre in 1985-86, making it the longest-running show ever produced there. 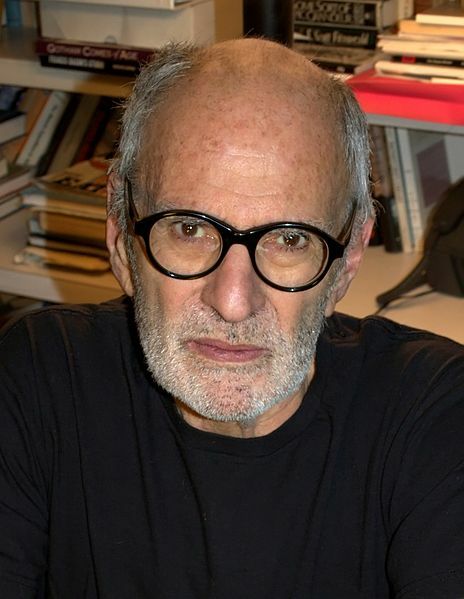 Critic Frank Rich, in his New York Times review, described the play as “fiercely polemical … the most outspoken play around.” It spoke up about a subject, said Rich, that “justifies its author’s unflagging, at times even hysterical, sense of urgency.” Barbra Streisand picked up the film rights and held onto them for years, but couldn’t raise the money to get the movie produced so the screen project languished. I saw the play in Calgary 18 months after it opened in New York, and felt it had already lost some of its urgency. “What might have been a timely piece of theatrical pamphleteering now seems as removed from us as the electioneering slogans of [a defeated Calgary mayoralty contender],” I wrote in my Calgary Herald review. But, I added, the play should serve as a point of departure for future discussion about one of the major public health issues of the 20th century. And now comes the HBO movie, directed and partially financed by Ryan Murphy, the force behind such television shows as Glee and American Horror Story. According to a New York Times preview, the drama has now become more of a documentary — a warning cry from another time — than an urgent political statement about continuing indifference toward the ongoing problem of HIV infection. But, writes Neil Genzlinger, it still serves as an important reminder that complacency and indifference are rarely the right responses to things that seem on the surface like other people’s problems.